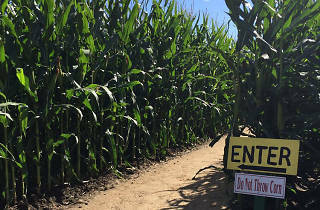 This twisty, tricky corn maze is difficult enough to stump adults. It sprawls over six acres, with stalks rising over 12 feet tall. Luckily, you’re not left to navigate the fields completely on your own: various stations among the rows offer clues to guide you in the right direction. At the end, climb to the center of the bridge for a bird’s-eye view of the entire maze. 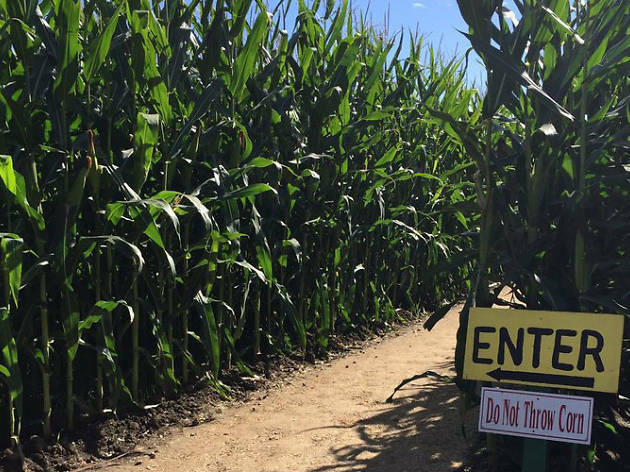 If the corn maze seems like too much of a commitment, there’s a mini straw bale maze designed for kids. The farm also features a pick-your-own pumpkin patch, pony rides, a children’s train ride, and a petting zoo.